Last year Carolina won the raffle quilt from Our Home. Thanks to everyone who participated in the raffle. 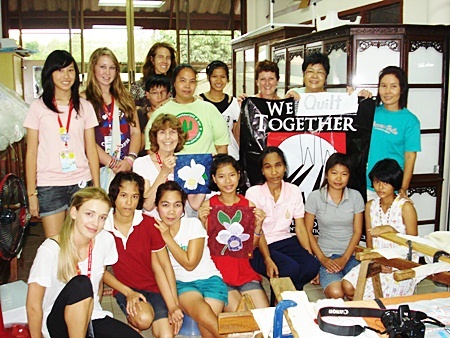 “Our Home” in Rayong, Thailand is a real help to a few young women who otherwise have no family to help them. The young women come from all over Thailand. Some of them have not known a home of their own. They live in a family-like atmosphere and learn quilting and social skills. They participate in all aspects of family life. 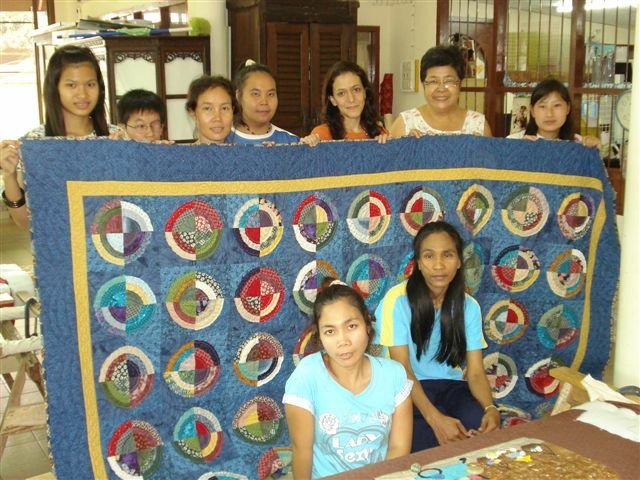 Making quilts has been an ongoing experience for Khun Tiew, the founder of “Our Home”, and the girls. Customers have a choice in every detail of their quilt and the quilts are of the highest standard. The girls are proud of their work. If you would like to help “Our Home”, please donate. Thank you very much! Thank you Vicki, Teresa, Shirley and Barbara!